previously a French colony before attaining independence in 1960. He is credited, with Martiniqan poet and theorist Aimé Césaire (1913–2008), and the Guianan Léon Damas (1912-1978)—the ‘Three Fathers’, as popularly referred to-- to have founded the negritude movement in the 1930s as a kind of a common black identity to counter and reject the French colonial racism. Senghor, as a negritude writer, searched for the intrinsic reality and splendour of the Black experience and portrayed African life with dignity and almost with a sense of ecstasy. However, the negritude movement seemed to be riding on a double-edged theory—emphasising the colour of skin to reclaim the African identity, and thus, at the same time, dangerously pandering to the white-black racial discrimination and inequality as advocated by the White and canonical supremacists. In fact, Senghor went on to say in one of his many scholarly articles on the idea of negritude that “emotion is black as reason is Greek”—thus sounding perilously very close to the White narrative. 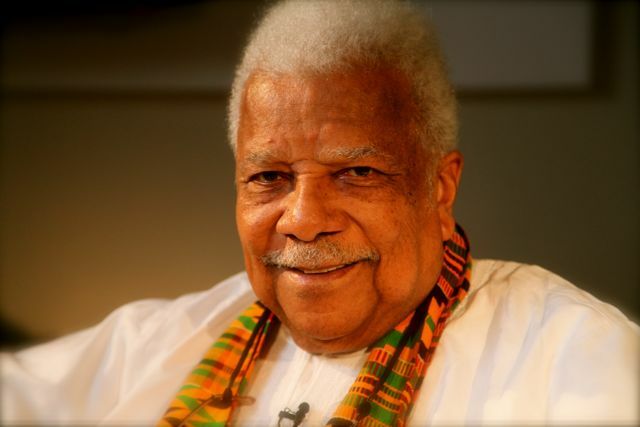 As a result, later, the younger Black poets and theorists like Franz Fanon, Chinua Achebe, Wol Soyinka et al in the 1960s onward had rather complex engagement with negritude—refining it, critiquing it, and bringing out the individuality of self and the complex and plural voices that make up the idealised ‘Pan-African’ identity. In fact, Wole Soyinka, the poet-playwright-novelist from Nigeria, the first African to receive a Nobel Prize for Literature in 1986, proved to be the severest critic of the Pan-African and negritude ideas of Senghor. 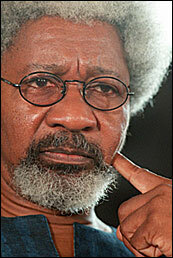 Soyinka, who came under criticism from critics associated with the Negritude movement for his use of European literary techniques, cautioned his Negritude critics against promoting a stereotypical dichotomy between Western rationalism and African emotionalism, and considered Negritude as a nostalgic and indiscriminate glorification of the black African past that ignores the potential benefits of modernisation. 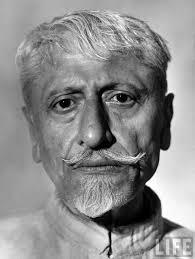 He famously wrote, "A tiger does not proclaim its tigritude. It acts." Actually, Soyinka in the early 1990s, in an essay titled ‘Religion and Human Rights’ published in Index to Censorship (1988), felt that Ali Mazrui’s immensely popular BBC’s television series The Africans: A Triple Heritage, gave prominence to the Christian and Islamic contribution to the making of African identity, and quite ironically, Soyinka talked of ‘African authenticity’ and went on to denigrate the Islamic traditions of Africa as something alien and pitched for the production of a new television series on Africa to be made ‘from a black African perspective.’ Soyinka followed up his criticism with another article titled ‘Triple Tropes of Trickery’, published in his journal Transition (1991), perhaps to which Edward Said refers to above. Suddenly, we find that Ali Mazuri’s concerns get aligned with those of Maulana Azad, when he, battling the similar ‘racial quantification and genetic explanation’ in India from 1930s to 1940s, famously said, “"I am a Muslim and profoundly conscious of that fact that I have inherited Islam's glorious tradition of the last thirteen hundred years. I am not prepared to lose even a small part of that legacy. The history and teachings of Islam, its art and letters, its culture and civilization are part of my wealth and it is my duty to cherish and guard them... But, with all these feelings, I have another equally deep realization born out of my life's experience, which is strengthened and not hindered by the Islamic spirit. I am equally proud of the fact that I am an Indian, an essential part of the indivisible unity of Indian nationhood, a vital factor in its total makeup, without which this noble edifice will remain incomplete. I am an essential element, which has gone to build India. I can never surrender this claim." This debate in Africa, as in India, keeps recurring and confronting us on daily basis. In the changing perspectives about African Identity, Senghor’s negritude, thus, has also been be seen as a kind of a Black all-encompassing humanism, a la Walt Whitman’s—without denying the revolutionary and historical role of the rise of the idea of negritude. 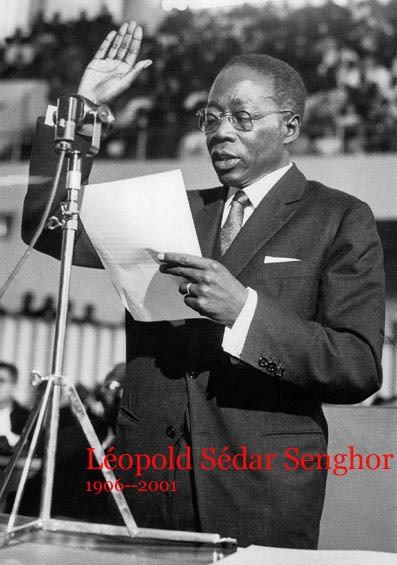 This needs to be underlined that Senghor, as the first President of the independent Senegal for twenty years from 1960, realised the whole lot of repression and violence emanating from various African countries reeling under dictatorship and inter-ethnic strifes, and sought greater engagement with the West, which helped provide stability to the newly independent nation. And you too, my panterheaded ancestor. In the name of your image, listen to me! So that hereafter we may cry ‘here’ at the rebirth of the world being the leaven that the white flour needs.